This is a simple-to-make recipe for honey mustard sauce for ham. Adding tons of great flavors to ham, it can be used as a dip or a glaze for your next ham dinner. 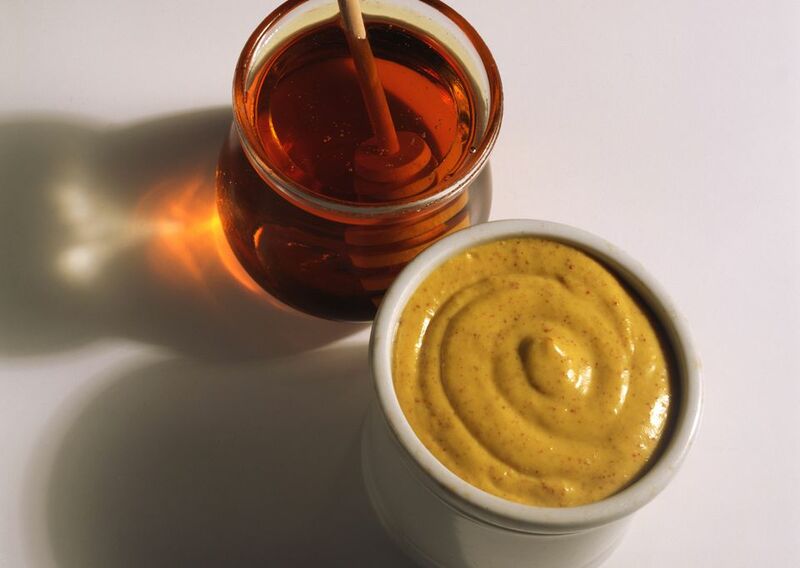 Combine mustard and honey in a bowl, mixing thoroughly. Place alongside ham as a dip, or glaze the ham before, during, or after baking with this mixture. Go for maximum flavor. Check the label to make sure the ham has no added juices or water. The label should just read "ham." You want to avoid one with "water added" or "natural juices." These can dilute the natural flavor profile of the meat. Buy the right type of ham. The type of ham roast you see on holiday tables is known as a city ham. These are pre-cooked and can be smoked. Make sure the label says "ready to eat." Heat it low and slow. To cook the ham, place it cut-side down in a baking pan. Then cover it with foil until it is time to glaze the surface. Some people add some wine or water to the pan to add a little moisture, which can escape when the ham is in the oven for an extended amount of time. Glaze it -- but at the right time. After the ham is heating a while and it is about 120 F, turn the heat up higher. Brush the ham with glaze and then bake for about 10 minutes. After that, glaze it again and broil the ham for a few minutes until it caramelizes and the skin crisps. Glazing should take about 15 minutes in all, and is only done at the end of the cooking process.